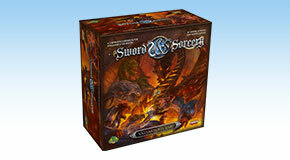 Sword & Sorcery is an epic-fantasy cooperative board game in which up to five players control heroes with unique powers, fighting together against the forces of evil - controlled by the game system itself - to save the kingdom and break the spell that binds their souls. 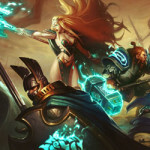 The heroes are legendary characters brought back to life by powerful sorcery. Weakened by the resurrection, they grow stronger during their story-driven quests. By acquiring soul points during battles, the heroes’ souls regenerate, restoring their legendary status with multiple powers, magic and soul weapons, and powerful artifacts. Sword & Sorcery is a game designed by Gremlin Project - the same team who created Galaxy Defenders - and published and distributed by Ares Games. 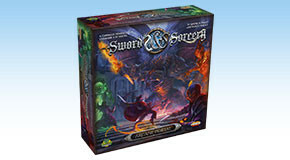 The perfect evolution of its forerunner, Sword & Sorcery gameplay is faster and dynamic, thanks to an innovative area movement and area control system, and new features never seen together before in a game of this category. 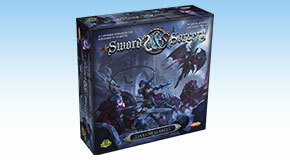 Sword & Sorcery – Immortal Souls is the first set using the new game system. 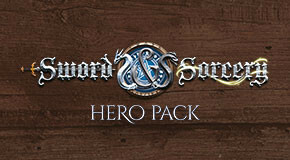 For additional information and more contents related to the game, visit the dedicated website – www.sword-and-sorcery.com. The legend begins! Play heroes of epic stature against the forces of evil! The Demonic Portal is opening... continue the epic campaign started in Immortal Souls. The Undead Army is on the march...the heroes’ path brings them toward their final destiny. The climax of the Immortal Souls campaign... fight the huge five–headed dragon, Vastaryous. 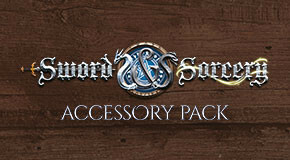 Unique items to upgrade your Sword & Sorcery set and enhance your game experience. The world of Sword & Sorcery always needs new heroes! Add new, powerful characters to your campaign.